Cash back Artificial Hedges and our great range of designer plants. 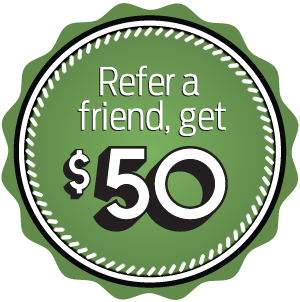 Simply refer a friend to Designer Plants, and if they place an order of $1,000 or more you’ll get $50 CASH. 1. Refer a friend who places an order of $1,000 or more. 2. Get them to provide your name and contact details to us. 3. Get in touch (with your bank details) once the order is placed and we will deposit the $50 directly into your bank account*. * Offer only applies if you provide a bank account which can receive direct deposits.